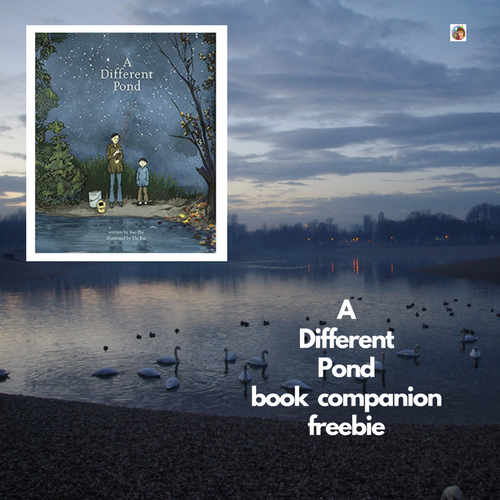 A Different Pond is one of the books I read for MCBD 2018. 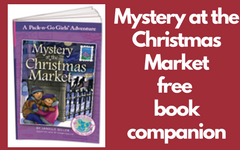 I received a free copy and have also purchsed several copies myself. 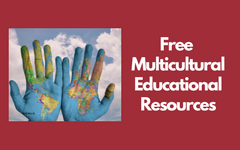 Multicultural Children’s Book Day 2017 (1/27/18) is in its 5th year and was founded by Valarie Budayr from Jump Into A Book and Mia Wenjen from PragmaticMom. 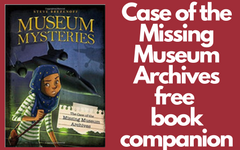 Their mission is to raise awareness of the ongoing need to include kids’ books that celebrate diversity in home and school bookshelves while also working diligently to get more of these types of books into the hands of young readers, parents and educators. This post is one of several I’m writing for the 2018 event, and I have participated in previous years. TheTwitter Party for the 2018 event was 1/27/18 at 9:00-10:00 pm ET. 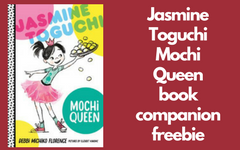 Join and tweet to win books! 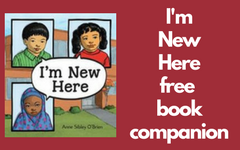 Just use #ReadYourWorld to join in the fun. 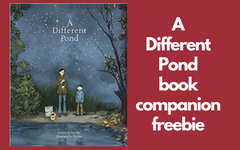 This post has a free PDF for teachers to use with the book A Different Pond by Bao Phi. 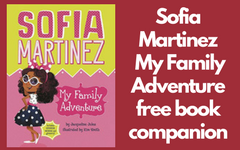 It is my second post for this year’s Multicultural Children’s Book Day event. 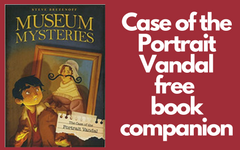 The publisher is Capstone, and I thank them for the copy I received to review the book and write this blog post. I also purchased a Kindle copy myself. This is such a beautiful book! 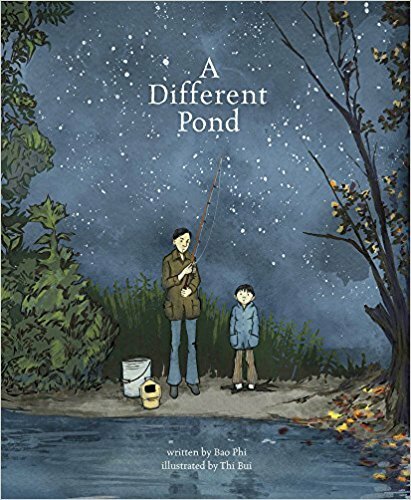 A young boy (not named in the story, but is actually the author Bao Phi) goes fishing with his Vietnamese refugee father. Why are they fishing at night? It probably has something to do with the No Trespassing sign near the pond. It might sound like fun to go out so early in the morning that it is still night, but actually, the author felt it was anything but fun because fishing for food was a necessity. A sentence in the story states that father smiles when they have caught a few fish — and the family will eat tonight. Which begs the question, what if no fish were caught? What do your children or students think this might mean? The story doesn’t clearly say the boy feels like fishing is a chore, but this information is found in the author bio at the end of the book. 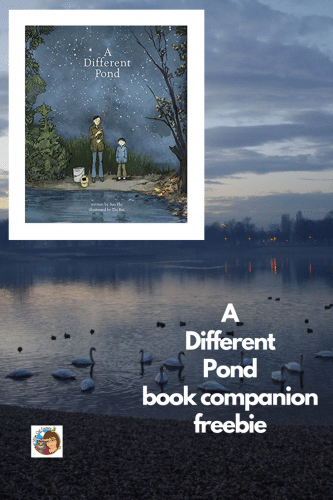 “A Different Pond,” written by Bao Phi of Minneapolis and illustrated by Thi Bui, is a Caldecott Medal Honor Book, one of the American Library Association’s prestigious Youth Media Awards announced Monday at the organization’s midwinter meeting in Denver. 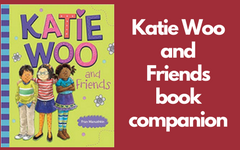 This book won the best picture book in the country award recently! And I was lucky enough to receive it for this post. When the boy and his father are waiting to catch fish (only crappies, not really a great fish to eat but they are excited and happy to get them), the father sometimes speaks of the Vietnam War which he and his brother both fought. The brother didn’t return from the war. Since it is now 50 years later, the book is in good company with the Ken Burn’s video series and books on the subject for adults. Vietnam has been a discussion topic this fall and winter. 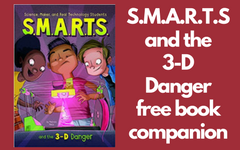 It is interesting how children’s books can approach tough subjects and still captivate children’s imaginations. 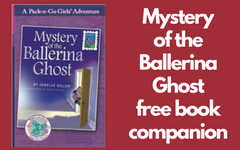 A good reading comprehension strategy for this book would be asking questions. Why is there only a bare bulb in the kitchen? Why does father have crooked teeth? Why are they happy to catch crappies? Why do they have to fish for food now that father has two jobs? What would be different about having to fish vs. fishing for fun and relaxation? Why don’t they use a boat? 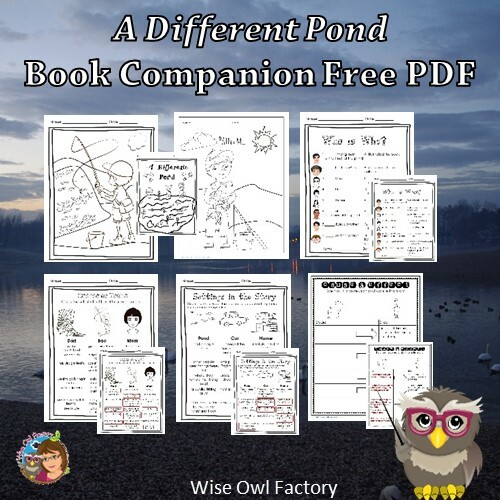 What actually is the different pond? 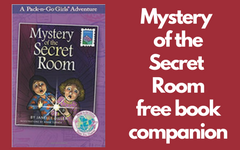 The children will generate answers and also additional questions when discussing the story. 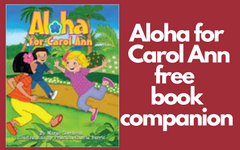 The story is honest and informative about the Vietnamese refugee experiences after the way — only as far as children are able to understand while keeping the overall book tone positive. 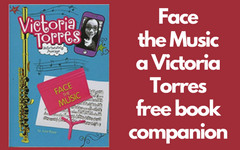 Click on the link to download your free instant PDF file. In one illustration in the book, a calendar on the kitchen wall shows the year as 1980. After reading the author’s biography, why do the children think this year is shown? As the children notice other details in the wonderful illustrations by Thi Bui, who is also from Vietnam, they will have “noticings” to share. Do read her biography at the end and learn why empty spaces in the pictures have special meaning to her. What do the children think about that? 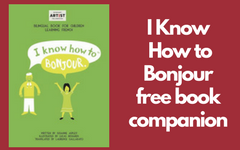 You might also like the post and free printable about the book, How I Learned Geography, by Uri Shulevitz. 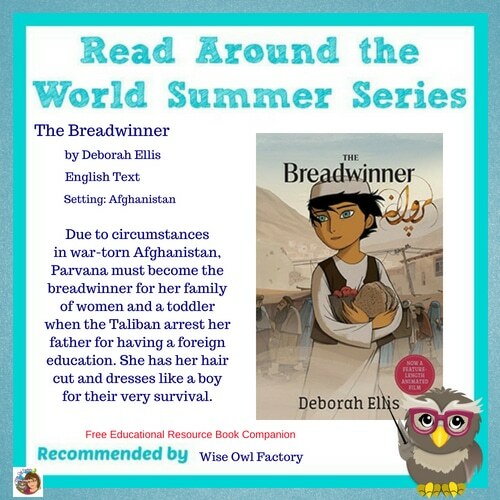 You might also like The Breadwinner book review and free educational printable at this link. Thank you so much! 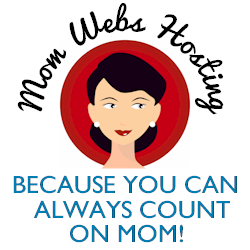 I’m honored to have you comment on my blog! Thank you for organizing MCBD2018! !